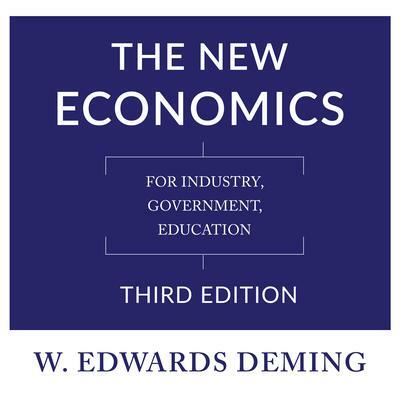 In this book, W. Edwards Deming details the system of transformation that underlies the 14 Points for Management presented in Out of the Crisis. The Deming System of Profound Knowledge, as it is called, consists of four parts: appreciation for a system, knowledge about variation, theory of knowledge, and psychology. Describing the prevailing management style as a prison, Deming shows how applying the System of Profound Knowledge increases productivity, quality, and people’s joy in work and joy in learning. Another outcome is short-term and long-term success in the market. Indicative of Deming’s philosophy is his advice to abolish performance reviews on the job, to look deeper than spreadsheets for opportunities, and even to rethink how we teach and manage our schools. Moreover, Deming’s method enables organizations to make accurate predictions, which is a valuable tool in today’s uncertain economic climate. 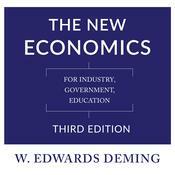 W. Edwards Deming (1900–1993) was an international consultant in management and quality. In 1987, he was awarded the National Medal of Technology and Innovation by President Ronald Reagan.